If you enjoy a fast paced, fun and rewarding environment that strives to provide outstanding donor and customer service, then the ReStore would be a great volunteer opportunity for you! And variety of other tasks! Do you like welcoming folks into your space? Answering questions? Well, you would be perfect for volunteering as our ReStore Liaison. This position would giving donor’s receipts, direct customers where to go and what our sales are. The right candidate would answer phones, keep the front entrance clean, help bag or box purchases, and other small jobs that need to be done. Have an eye for different colored tags and like pushing buttons? Do you like people, meeting folks from all over Centre County and beyond? Then being a paymaster/cashier would be an excellent fit for you. Our cashiers are the face of the ReStore, helping each customer purchase what they need at a great deal. 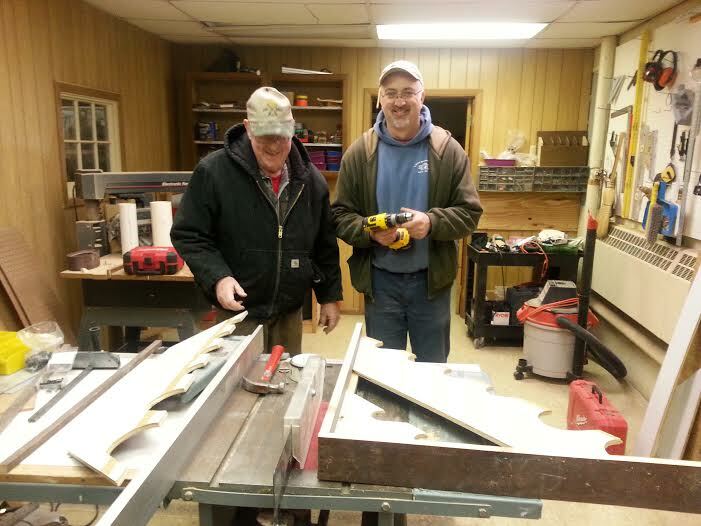 And since we have very friendly customers, you will always have an opportunity to find out about new home improvement projects they are working on, how they found us, and let them know how they have helped out Centre County families with their purchases. Like holding treasure in your arms, while hunting for it all of Centre County? Well, if that treasure is a box of tile, a cabinet, a refrigerator or a carton of nails than the Donation Ambassador position could just be right for you. Because those valuable donations are like treasures to us! They turn into funds for our Habitat houses. You would go out with our Driver to pick-up donations from people’s homes getting to see all over Centre County and the array of items that are given. It is always good to have a strong physic, friendly smile, and a way with puzzles for arranging items on our truck for this position. Must be able to lift 40 pounds or more. Love a good 'before and after' story? Do you like to see your reflection in things? Is seeing a pile of stuff, look like an opportunity? Well, we are always in need of people who get satisfaction from seeing things clean! Our donations come in a variety of conditions and often need a little elbow grease or organizing. If you like getting your hands dirty to get things clean, we would be happy to have you on board! Do you have a knack for repairing things? Do you enjoy getting something working? We have a position just for you! Sometimes are donations are not in perfect working order, they need to be taken a part, or simply tested to see if they work, and that is what this position is for. Power tools, appliances, ceiling fans, light bulbs, paint and more all need to be tested. Furniture, doors, windows, cabinets, and home decor may use some TLC, and we will always lots of items ready to be taken care of by someone like you! Everything has its place, and you know where that is! We need someone who is good at displaying our inventory in an appealing way. You can set up a living room or a kitchen. Reorganize entire areas of the ReStore or just a shelf. Like to decorate for the holidays? We have a spot for you! If you have an eye for design and organization we would love to have you join our team. Are you handy or skilled? The ReStore has quite the honey-do list! We could always use someone who could change out light bulbs, hang signage, repair flooring, build walls, etc. Whatever your level of expertise there is work here to be done! Every appliance, ceiling fan, and power tool that is donated needs a special someone to plug it in and make sure it runs the way it should. Is that you? This volunteer position could also look up prices online and check for recalls if they are a little internet savvy. If you would feel a sense of accomplishment by giving something a 2nd chance by insuring “it works” then we could really use you at the ReStore! Creativity is a must for our Upcycler volunteer spot. Remaking, restoring, and renewing materials into something new would be a great way to show our customers what potential our inventory has. This person could also do “demo classes” or help organize craft events at our ReStore. Like surprises? You never know what you will find under the lid of some of our donated paint cans! Each paint donation needs to be shaken and checked for quality. This position would do just that and even have the opportunity to expand our paint department by combining paints to see what color shakes out! We divert on average over 30,000 pounds of usable goods a month from landfills, and a big part of that is our metal and porcelain recycling. We are happy to train the right person who likes breaking things, dividing and conquering the materials that would be sent to the dump otherwise. Have some connections around the area? Do you have valuable experience that would benefit our donation procurement, volunteer retention, store growth, or event planning? Are you good at get things started and getting them done? We could use someone of your expertise as a committee member. Please reach out to the ReStore! The ReStore can accommodate groups of 3 to 12 people. Groups can help their community and use their volunteering as a team-building opportunity. We take volunteer groups 4 days a week. 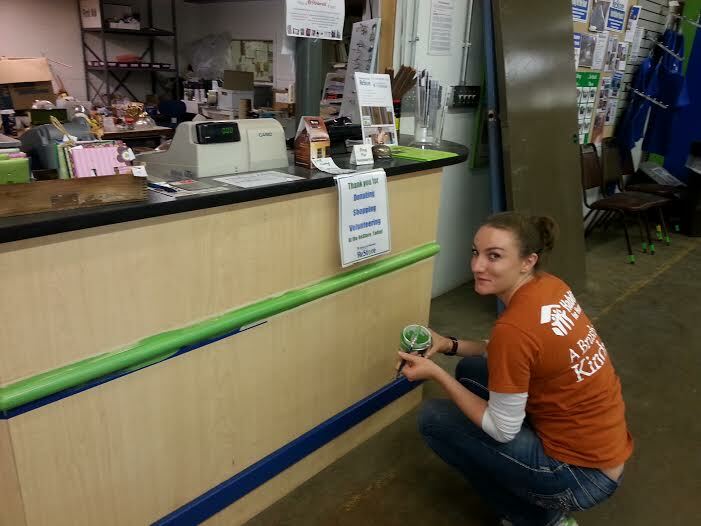 The ReStore is open Wednesday through Saturday 9:00am - 4:00pm, but volunteer shifts may vary. Let us know if you are interested in helping in the ReStore and we’ll find the best time for you.